"Two thumbs and four paws up!" "One of my dogs, Jake, was in end-stage cardiac disease, and the time was drawing near to make a decision to euthanize. I, like many other pet owners, was walking the tightrope between doing it too soon or waiting too long. That is when I called Jai. As a veterinary technician, I had heard about people in the animal communication field. Quite frankly, I wasn’t sure it was a real thing, but figured if it helped at all, it would be worth the money. My time with Jai and Jake was amazing. Jai described other animals in my household that Jake told her he was bonded with, and she described people from my past he was bonded with – it was phenomenal and made me a believer. Not only did I get the information from Jake that I needed, but Jai enhanced the ability for Jake and I to communicate with each other, which made our last bit of time together truly special. Jai has worked with three of my dogs on several occasions. Each time has provided solid information that was useful. She has made such a difference in my life with respect to my pets that no amount of money could provide an adequate thank you. She is priceless." "After our pets told Jai how they felt about each other and about us, we made some positive changes in how we were dealing with the animals. Our family of two dogs and two cats have been brought closer together – less squabbling! We have a better understanding of each other, and Jai also helped to pinpoint some health issues. It’s been magical." "I enjoyed the realization that my basset puppy was far more aware of our relationship on an intelligent level – that he welcomed the dialogue as an opportunity to make life better for the both of us. 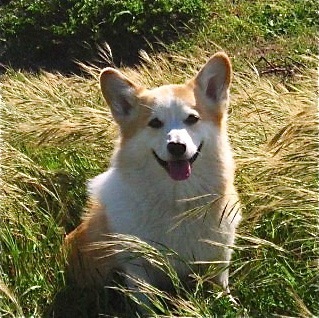 Jai also communicated with another pet that I lost in 2009. It was comforting to help me put closure on that loss. The world needs more people like Jai who can bridge this communication between animals and humans. This will truly make the world a better place. Kudos." "I first worked with Jai when I adopted a little Pekingese named Peanut. I had questions about how he was fitting in with my existing pack of four other dogs, and whether he was enjoying his new job as a therapy dog in the nursing facility where I work. It was amazing to watch Peanut’s face light up when Jai started communicating with him. His eyes got so big! Jai was able to find out from Peanut the answers to my questions, as well as relay some things that were important to Peanut. I learned that he wanted a little dog bed “just for him,” to help him feel secure and adjust to his new home with all of us. Jai has a natural ability to deeply connect with our animal friends. Working with her has helped me to understand and connect even better with all my beloved dogs." "Thank you very much for the reading you gave to me and my dog, Robin. I want you to know how profoundly it has affected our relationship. As a result of the session, I have really changed the way I look at him. I can tell by the way he looks at me that he knows things have changed between us, and that I am taking better care of him. While he would never complain, I know he is grateful for the new me! We appreciate your gift tremendously." Copyright 2011 Wagtime Wisdom. All rights reserved.